Fabric-covered tube frames in many shapes and sizes. Very light and compact to carry. Beautiful, washable, durable print. Can be double-sided. Solid, impressive backdrop frames and gantry systems. Standalone modular systems. Wide choice of accessories and graphic displays. 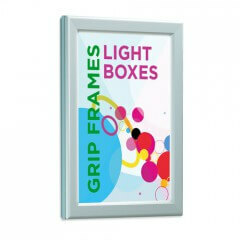 Snap-action poster frames in a range of sizes. Lightboxes for backlit graphics - rotating, giant, ultra-slim, edge-lit or panoramic. 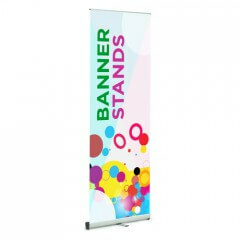 Exhibition displays come in a wide range of options. 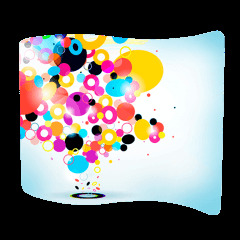 Fabric displays offer a unique and extremely portable option that has many unusual shapes. 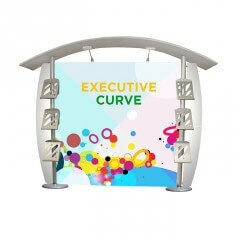 Aluminium frame displays are classy engineering systems, Curvorama is the most versatile display system in the World. Twist is a very solid, very versatile system with many accessories. 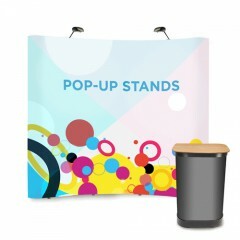 Pop-ups are a classic, curvy favourite and folding panels are a tried-and-tested standby. With over 25 years in the business, Fresco sells the best in portable exhibition displays at the best possible prices. Fresco prides itself on helpful support. Exhibitions are about exposure and unforgiving deadlines – let our experience reassure you. All our displays are printed and finished in the UK by Fresco using the best print technologies. 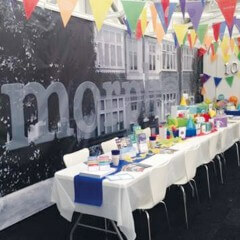 This in-house capability and wide experience means that Fresco can meet the tightest deadlines on exhibition displays. Fresco’s range of modular displays offers ideas and solutions for everyone. 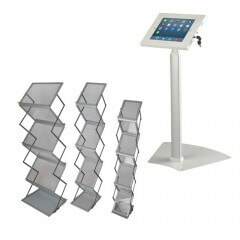 Our display stands do not compromise on quality. Nor does our display print. Fresco is a leading UK supplier of all types of portable display systems but also designs and manufactures unique graphic display systems and shell scheme liners. We offer free technical support as needed for your designers to produce artwork that will print perfectly. This helps us and it helps you – your success is our success. Supply artwork to Fresco or use the full design service from our very experienced team. Or, if it suits you better, send us resources (logos and so on) and we will artwork them for you – a very cost-effective option. You will find Fresco responsive, expert, helpful and a pleasure to work with. As well as giving great customer support, Fresco bends over backwards to make sure your portable display gets delivered on time, every time. Fresco offers a full re-graphic service as a green and cost-effective alternative, Almost any kind of exhibition display can be rejuvenated by our team.